The new spinoff series, DC’s Legends of Tomorrow, just started filming for its pilot episode, and The CW just released the first look image for Hawkman and Hawkgirlin full costume! Filming for the pilot episode of the mid-season series had begun, and as revealed by series co-producer and Pilot co-writer Marc Guggenheim, the premiere episode for the series seems to be composed of two partspossibly a two-hour long premiere, as the title page for the script that Guggenheim revealed read “Pilot, Part 1”. Additionally, Caity Lotz, who plays the revived Sara Lance (now taking on the superhero name of White Canary) revealed through her Twitter post that the premiere episode will already include a “massive” fight scene. 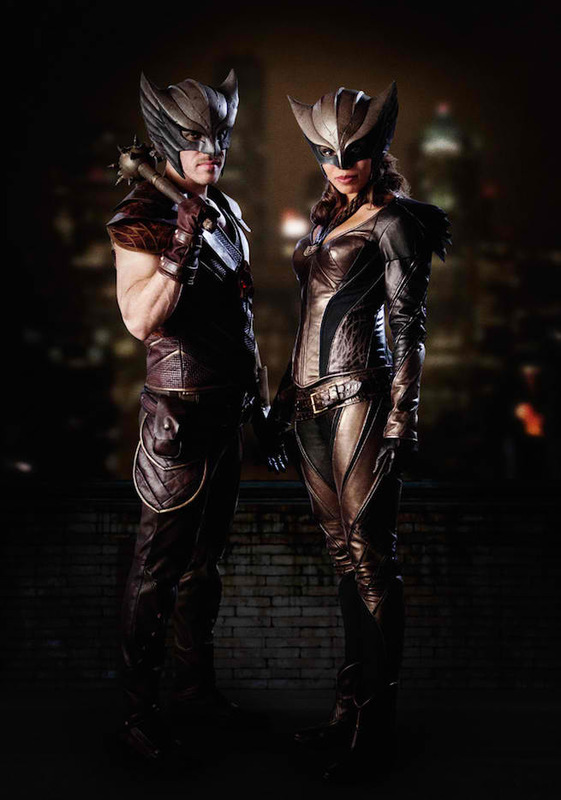 In other news, The CW just released the first image of the characters of Carter Hall (played by Falk Hentschel) and Kendra Saunders (played by Ciara Renee) in full costume as Hawkman and Hawkgirl, respectively. In the series, Hawkman is the latest reincarnation of an ancient Egyptian Prince, who have been reincarnated time and again for millennia, along with Saunders/Hawkgirl. The two have the power of the Egyptian god Horus, giving them the ability of flight. While Hawkman is able to retain all his previous memories from his past lives, Hawkgirl is not able to do so. The new series follows time-traveller Rip Hunter as he forms a team of heroes and villains to fight for the world, and for time itself against the immortal Vandal Savage. Starring are Brandon Routh as Ray Palmer/The Atom, Caity Lotz as Sara Lance/White Canary (both are originally from Arrow), Wentworth Miller and Dominic Purcell as Captain Cold and Heatwave, Victor Garber as Dr. Martin Stein (all orignally from The Flash), Ciara Renee as Kendra Saunders/Hawkgirl, Arthur Darvill as Rip Hunter, and Casper Crump as the villain Vandal Savage. Legends of Tomorrow will premiere on The CW in 2016.